TPoP (Transparent PDH over Packet) Smart SFP converts E1 or T1 traffic to a packet stream using RFC4553 SAToP TDM over packet pseudowire technology. Designed in conformance with the Small Form Factor Pluggable 20-pin Multi-Source Agreement (MSA), TPoP Smart SFP can replace an existing SFP in a router or a switch and transports PDH traffic across a packet network. 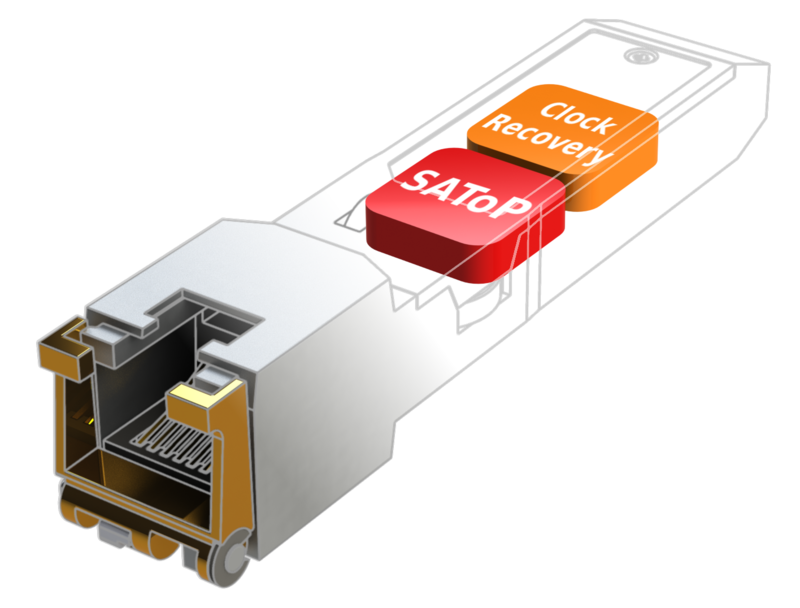 TPoP Smart SFP is a plug-and-play device which can be used without any provisioning and simplifies configuration and service turn-up of E1/T1 connections across a packet network. The integration of TPoP into an SFP greatly reduces system and network complexity, offers lower carbon footprint, and brings CAPEX and OPEX savings. 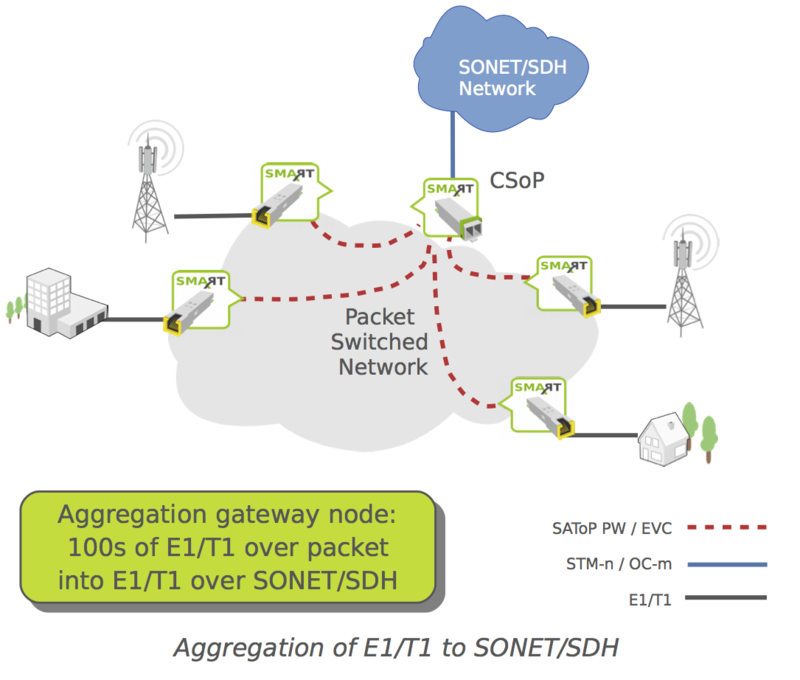 TPoP capabilities are complemented with a Gigabit Ethernet system interface. It provides a RJ45 120 Ohm balanced (E1) or 100 Ohm balanced (T1) interface. It is designed to operate at industrial temperature range. Optionally, an API and SNMP MIBs are available to facilitate integration in existing equipment and management systems. This management interface allows configuration and helps to monitor relevant parameters.